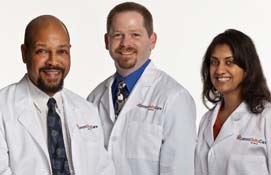 CommUnityCare uses a team approach to provide comprehensive primary care services to our patients. We believe your overall health and well-being depends on both your physical and mental health. Our services include primary care, pediatrics, women's services, HIV care, behavioral health services, dental care, nutrition couseling and clinical pharmacy services. Our team of physicians, mid-level providers (Nurse Practitioners and Physician Assistants), Dentists, Pharmacists, Nutritionists, and Behavioral Health Professionals all work in partnership with our patients to achieve the best health outcomes possible. Your good health is our priority. Our goal is to continue to expand and enhance our services and to increase access to care.